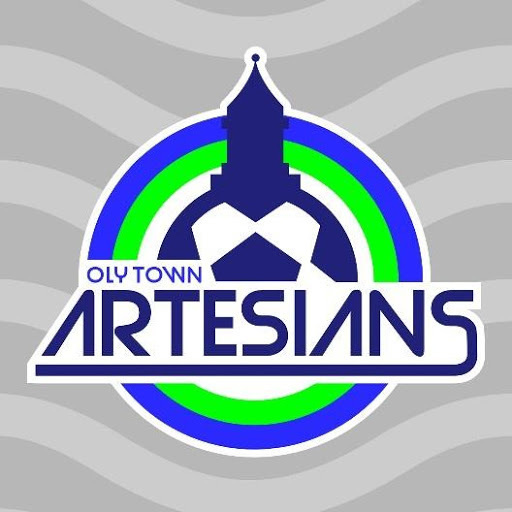 I caught up with Brandon Sparks, General Manager for Oly Town Artesians, just weeks before they get stuck in to the 2018-19 Western Indoor Soccer League’s season. Oly Town are one of three EPLWA clubs participating in the indoor soccer season; Olympic Force and Bellingham United use the competition to maintain fitness and a competitive edge during the harsh raining winters in the Pacific Northwest. Protagonist Soccer briefly mentioned Oly Town in our league into piece to the EPLWA, but we thought we give them the spotlight this week and get to know a little more about the cool kids from Olympia, Washington. 1. When and how were you founded; have you always been in the same league? We were founded in 2014 as an indoor soccer team competing in the first season of the Western Indoor Soccer League. I helped operate a previous indoor team called the Tumwater Pioneers that lasted just one season in the PASL because the owner got sick and had to shut down the team and sell the indoor center. I heard about a group of local operators starting the WISL on the heels of the launch of the outdoor Evergreen Premier League and knew I had an opportunity. I approached the new owner of the indoor center, Tim Smith, about operating a team at his facility and placing in the WISL. To my surprise, he was very excited about the idea and he even agreed to own the team with me as General Manager. I had hoped to place an outdoor team in the EPLWA from the league's inception, but couldn't get it together in time, so we took a couple years as an indoor team before starting the outdoor team in 2017. We just completed our second season in the EPLWA and will be playing our fifth season in the WISL starting in November. 2. Have you always had the same badge; what are the elements and what do they mean to you? We have had the same primary badge since our first year but we tweaked the colors slightly before our first season in the EPLWA. The Artesians name honors the natural well water that flows from the ground all over Olympia and the rich brewing history in the area. The Artesians were also mythical creatures that protected the water. The horseshoe is an homage to Olympia Beer and the Olympia Brewery, the shape of the crest is a guitar pick in honor of the Olympia music scene, and the pattern behind the horseshoe is the same pattern that appears on the ceiling of the Capitol building's rotunda. Water, beer, music and the capital are such big parts of this area's identity and I wanted the brand to be proudly Oly. We also have a bunch of alternate logos that we use in various ways. I do all of the graphic design and I can't help myself, I enjoy giving us different looks and having fun with our identity. To celebrate our fifth season in the WISL, I have introduced a couple of "fauxback" logos, thinking about what we may have looked like in the past, a "what could have been" logo with an early concept idea that we scrapped, and a 5th season commemorative logo. It's probably too many logos, but like I said, I can't help myself. 3. What's your club goal; long-term/short-term. At this level, I think the short-term goal is always just to survive. Financially, we have done well and have been able to sustain and grow our club over the years. But we could certainly still do better. Our attendance hasn't always been where we would like it to be, especially with the outdoor team, so that is a big focus for us. We also would like to get more people involved in operating the club, be it as employees in some capacity or as volunteers. That would allow us to do a lot more for fans, players, our sponsors, and the community as a whole. We have a great group of people running the club, but we all have non-soccer work lives and we are doing this out of a love for the game and the community and there is a lot to do. Getting folks involved is key. We always need help. As for the soccer, last season we were told by people that know Olympia area soccer very well that we put the best team on the field that the area has ever seen. That meant a lot to us because that has been a long-term goal of ours, to provide the very top level of competitive soccer in Thurston County. We were able to do that by working toward another goal: providing playing opportunities for local players. We featured either current players or alumni from all three colleges in the area and most of the high schools in the area. We always have a few guys from Tacoma or farther away as well and we welcome them with open arms, but we are proud to be a community-based team on and off the field. 4. Is there a club legend--somebody who moved on to a higher level; Who was your most prolific player last year--the guy you just couldn't do without? He has never played an outdoor game for us, but Evergreen State College alum Willie Spurr is our leading indoor goal scorer and has gone on to play in the PDL during both of our outdoor seasons, first for the Portland Timbers U23s and last season with Lane United. He is a unique and dynamic player that hasn't had chances with teams higher up the ladder because he is unpredictable and unorthodox on the field. But the guy is a wizard with the ball and always finds ways to score. We'd love to see him back in an Artesians jersey at some point, but we wish him nothing but the best and are rooting for him. This past season, former OKC Energy midfielder Daniel Gonzalez reunited with his high school coach and our head coach, Matt Herrera, on our team. He was limited by injuries to only a handful of games, but he was so good and set the bar really high for the talent on our team. He made us better even when he wasn't able to be on the field. Again, this is another guy that we would love to have back in blue, but we are rooting for him to get another opportunity at a higher level. And I can't leave Austin Kelley off this list. Austin was a player that everybody had a ton of respect for and loved playing with. A great guy and a great leader, he played one indoor season with us and was just learning the indoor game when he tragically passed away in September of 2016. It was a devastating blow to us and the Olympia soccer community. But the community rallied and came together at a difficult time. We raised a bunch of money for his family and continue to play a game each season dedicated to him with a donation going to his family. 5. Do you have a rival and how seriously do you guys take that competition? We don't really have a traditional rival right now. I hope it is something we can develop over time. 6. Some clubs really enjoy the spotlight and are trying to grow a presence/interest while other clubs aren't worried about generating a buzz--focused on the football... where does Oly Town fit in that spectrum? I would say we are somewhere in the middle, shading more toward enjoying the spotlight. I love a spectacle and I love trying to create buzz and have fun. We are not above getting weird. Our indoor season lends itself much more to that and I want to have it move over to the outdoor side as well in time. But as a DIY/volunteer run team, we do what we can and the football does come first. I do love being on social media and interacting with other teams around the country that are doing what we are doing. This level of soccer is such a great community. 7. Are you politically active, or just try to stick to soccer? We are somewhat politically active. We certainly don't shy away from issues involving inclusion, diversity, standing up for what's right, freedom of speech, etc. But we also are not taking players and mascots to fundraising events for candidates or getting involved in elections as a team. We come from a very politically active area and a lot of our players are heavily involved with political causes, which is natural for a team that plays at and features a lot of people from The Evergreen State College. 8. Is there anything important to you that I missed? Oly! Oly! Oly!... Oi! Oi! Oi! 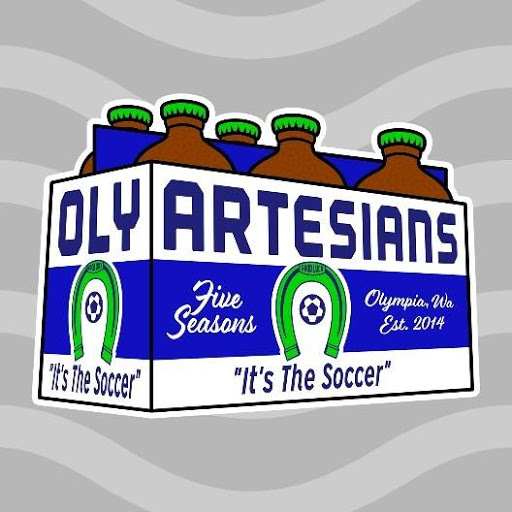 If you love any of Oly Town’s designs and want to support a lower league soccer team, Check them out at www.teepublic.com/users/olytownartesians including the stubbies shirt!